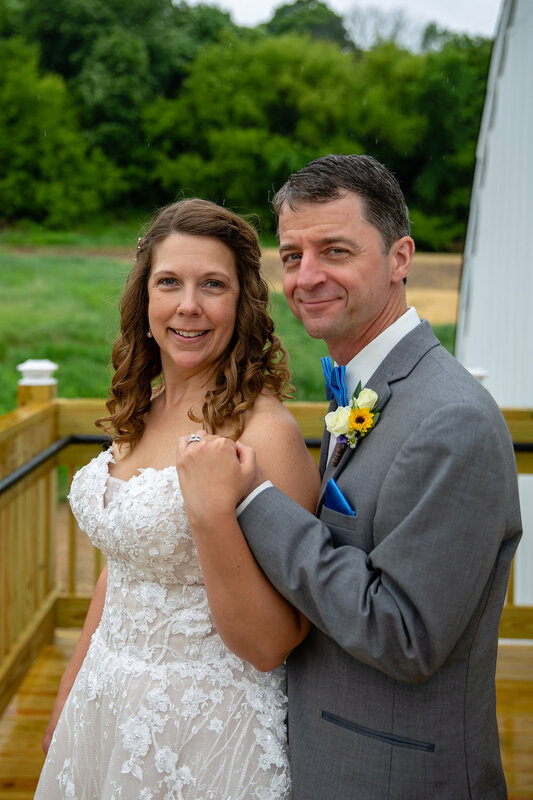 Anne and Joseph's wedding was a picture perfect day! For Anne's bouquet, she chose a handheld with stems and texture. 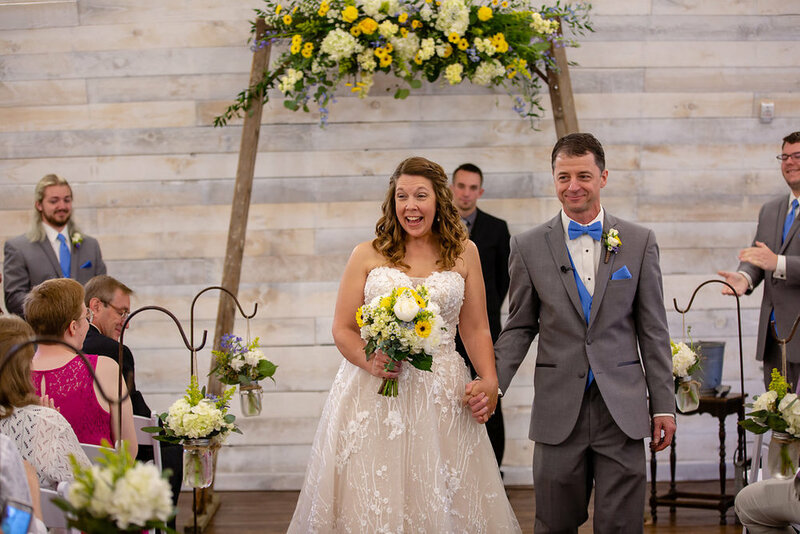 It included hydrangea, peonies, Viking daises, monte casino aster, stock, solidago, roses, seeded eucalyptus, and greens in the colors of cream, yellow, and green with a light blue accent. The bouquet was finished off with a wrap in burlap with lace overlay. For Joseph's boutonniere, he had two ivory spray roses with solidago, white monte casino aster, blue delphinium, yellow Viking mum, and greens wrapped in brown twine. 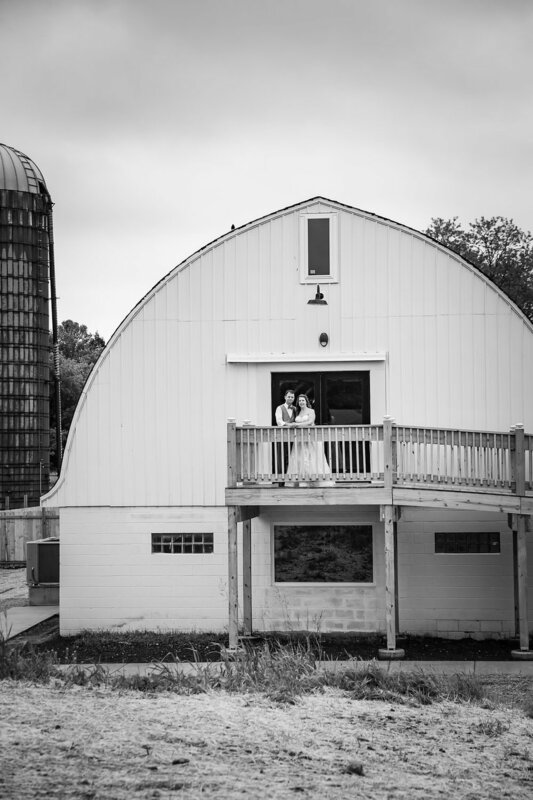 Both their ceremony and reception took place at The Bowery Barn in Ashippun, Wisconsin. 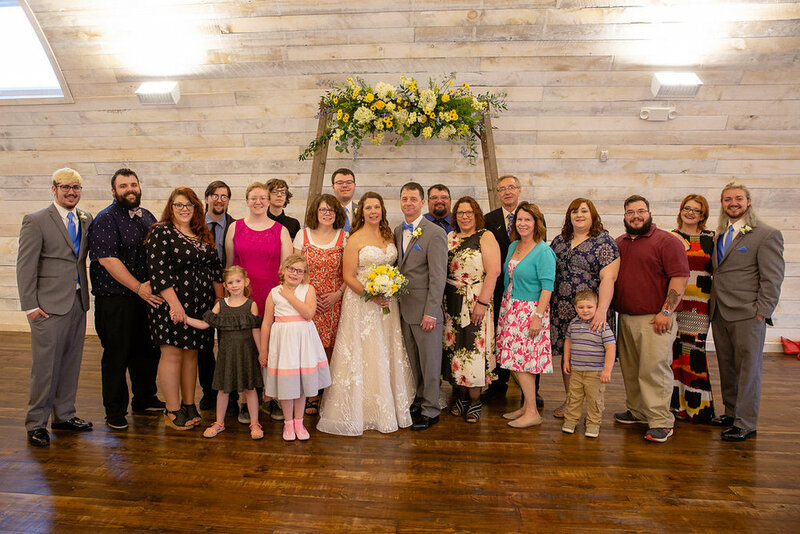 At the ceremony, the couple said their "I do's" surrounded by their many friends and family. Their day continued on to their reception, where much love, laughter, and music flowed. All of this was captured beautifully by JB Wedding Photography. 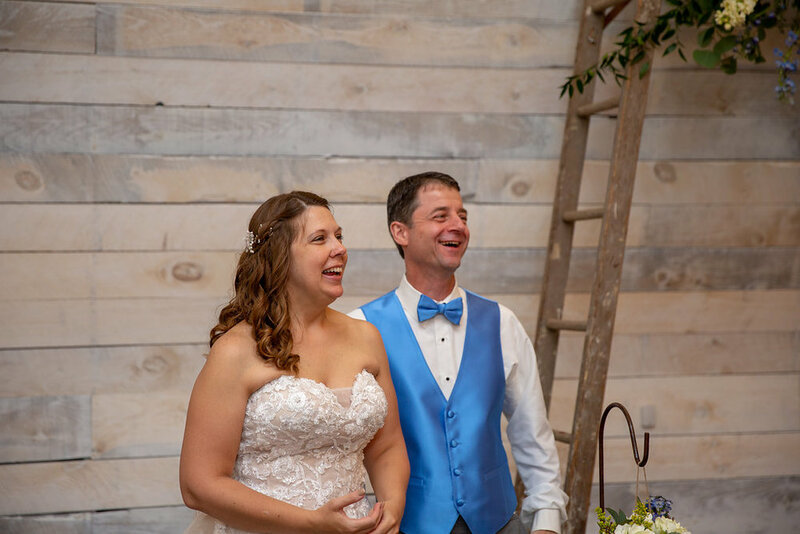 We were so happy to have been part of this couple's special day! Congrats Anne and Joseph, we wish you many years of love and happiness!